2018 FANTASY BASEBALL ISSUES: HAS MARCUS STROMAN PLATEAUED??? Looking at the number as a whole, 13 wins and a 3.09 ERA are tremendous numbers and spoke to how solid a year Stroman had on the surface. On the surface is the key term though as under the hood there was trouble, starting with a mediocre 7.34 K/9. Despite a decent fastball that touches the mid-90's, Stroman doesn't generate a lot of swings and misses and this is potential trouble in the AL East. In addition, Stroman's .310 BABIP and strand rates were a bit on the lucky side and resulted in adjusted ERA's of 3.90 (FIP) and 3.59 (XFIP) which more show the kind of season Stroman had. The bottom line here is that Stroman simply doesn't have the strikeout stuff to ever be considered a fantasy baseball ace and his division is going to be a problem as long as he calls Toronto and Rogers Center home. So while Stroman is a nice pitcher, he looks like someone who is now destined for high-end SP 3 classification than anything more than this. The reverberations from the Washington Redskins trading for QB Alex Smith are already being felt all over the NFL and reports quickly surfaced on Wednesday regarding how the New York Jets will be aggressive potential suitors for Kirk Cousins. This makes total sense as the Jets have a ton of cap money at their disposal and need a total re-boot at quarterback after the failures of Christian Hackenberg and Bryce Petty the last two years. At just 31, Cousins has plenty of good years ahead of him and would make total sense not only for the Jets but also for the Arizona Cardinals and Denver Broncos. Myself personally have suggested the Jets sign Cousins and then draft Penn State running back Saquon Barkley at number 6 if he is available as that should bring the Jets to instant contention. Either way, this is looking like a very busy offseason. The massive sell-off in Miami by the Marlins front office/ownership has been the story of the offseason; what with Derek Jeter and company already having traded away Giancarlo Stanton, Marcell Ozuna, Dee Gordon, and Christian Yelich since December got underway. Count on more names being moved at or during the 2018 fantasy baseball season and that group could include infielder Martin Prado, catcher J.T., Realmuto, and closer Brad Ziegler. In fact Zeigler is almost a guaranteed to be moved since he can help a contender as a setup man with his funky delivery and so focus needs to be dedicated to who will step up behind him for the few saves the team presents in 2018. The reflexive reaction would be that hard-throwing Kyle Barraclough would be the guy and this would make sense on the surface when you look at his massive strikeout totals the last few seasons. However, Barraclough has some truly hideous control and that is a tremendous no-no characteristic to have as a pitcher in the ninth inning. Instead, we are more interested in 2017 breakout reliever Drew Steckenrider who put up an insane 14.02 K/9 as a rookie and also a solid 2.34 ERA. Clearly Steckenrider has the strikeouts down pat but he too has some pronounced control problems to work through (4.67 BB/9). There is no guarantee Steckenrider will get a shot over Barraclough once Ziegler is dealt but at the very least, he should be on most sleeper radars very late in drafts or monitored during the first half of the season. Well then. Just days before Super Bowl 52 will put a bow on the 2017 NFL season, the Washington Redskins wasted little time in getting their QB for 2018 as they reportedly completed a trade with the Kansas City Chiefs for Alex Smith. In return for Smith, the Chiefs will receive draft pick compensation and also reportedly a player(s) but the move won't become official until March when the new year in the league begins. The move is a tremendous one with major reverberations as Smith's arrival in Washington means Kirk Cousins is on the way out. Cousins will not get the franchise tag for the third year in a row and the Redskins now cast their lost with Smith who is less naturally skilled than Cousins but who is a proven winner who gets teams to the postseason. In terms of fantasy football, Smith remains on the low-end QB 1 border who now has a much less potent receiving cast at present time in Washington compared to the major weapons he had in K.C. On the flip side, Patrick Mahomes now is the unquestioned starter in K.C. where he will surely have his ups and downs in 2018. This could hurt the production of some of the Chiefs receivers at times and Mahomes himself would be nothing but a backup speculative upside play. Finally, Cousins will now have a new home next season which could involve the Cleveland Browns, New York Jets, Jacksonville Jaguars, and other teams. Already this is looking like one heck of an offseason for the league. The next 2018 Fantasy Baseball Draft Debate is on tap and today we look at the back end of the top ten outfielders for the upcoming season which includes both brand new Milwaukee Brewer Christian Yelich and emerging Boston Red Sox talent Andrew Benintendi. With Yelich having just been traded into a hopelessly negative situation in Miami (both in ballpark and surrounding cast) to a potentially great environment in a stacked Brewers lineup (and terrific power park), he likely would be the reflexive pick since he has all the pop going for him now. But should that be the case? Let's compare the two in the five standard fantasy baseball hitting categories to find out who in fact should be selected ahead of the other. RUNS: We still don't know where Yelich will hit in the Brewer batting order but at or near the top is likely. Yelich scored a massive 100 runs last season with Giancarlo Stanton behind him and another move toward that number is likely as well this season in his new locale. Benintendi scored just 84 last season but he figures to improve as well there. For now though, Yelich seems like the better bet to get to 100. HOME RUNS: Last season it was Benintendi over Yelich in home runs by a slim count of 20-18 but in the advanced world, it is Benintendi who gets the nod. The reason being is that Yelich continues to have a major ground ball-heavy tilt which has always capped his power. Last season Yelich hit the ball on the ground 55.4 percent of the time which is very high and not good for power output. Meanwhile, Benintendi's ground ball rate was a much lower 40.1. That means Benintendi has the better power potential and so he gets the check. RBI: Going along for the ride with home runs are the RBI and we already established Benintendi as the better power option of the two. Already as a rookie last season, Benintendi beat Yelich in RBI 90-84 and that setup should remain. AVERAGE: Yelich has always been lauded for having batting title potential but so has Benintendi as well. For now Yelich is the better overall hitter as Benintendi has to work through some lefty struggles. STEALS: Both Yelich and Benintendi can really run but the latter won this battle 20-16 last season. Yes, the Brewers like to run which is a boost to Yelich and if the former Marlin gets the leadoff spot then look out. This one is too close to call. So in the event of a tie, we go to Intangibles and on this front, we have to give the nod to Benintendi due to the fact he has more upside than Yelich. Yelich is almost in his prime now, while Benintendi has a few years to go. What is interesting is that as good as Benintendi was last season, he struggled in Fenway Park which is amazing for someone so talented with the bat. That struggle will surely be remedied soon and so Benintendi's outlook is brighter. So as you can see, the nod goes to Benintendi. It is very close but we have to go Benintendi here given his upside. Those are still tremendous offensive numbers for anyone to accumulate and this is especially true for somebody so young like Seager. I think Seager gets knocked a bit unfairly because he doesn't steal bases like Turner or Lindor or while Carlos Correa was almost a zero in that category last season, he at least has done it before. Still, Seager has a 25-home run bat and a smooth swing that could have him in batting title range as soon as this season. He figures to easily hit 100 runs if he stays healthy and 85-90 RBI should be in play as well. Yes, there are no steals but this is just a minor quibble. Take advantage of any drop in ADP on Seager this spring as the kid is really some talent. The strikeout numbers were simply ridiculous here as Ray's high-90's fastball and knee-buckling offspeed stuff was a major chore for opposing hitters. And with just 162 innings, Ray could have challenged 280 K with 200-plus frames. So as 2018 fantasy baseball draws closer, it is likely Ray is going to command a major price given his breakout last season but some caution should be in order. For one thing, you never should pay sticker price for a breakout/career-year as often things go the other way the following season as you buy in on a depreciating stock. In addition, Ray's .267 BABIP flipped into the lucky territory last season and by quite a bit. When adjusted, Rays FIP (3.72) and XFIP (3.49) ERA's tell a different story. Throw in some ongoing control issues by Ray which is seen in his ugly 3.94 BB/9 rate last season and there are quite a few red flags here. So in essence, you need to resist the urge to pay top dollar for Ray because he very well will could disappoint under that situation. The now super-potent third base position takes center stage in our Draft Primers and this power-packed fraternity will see a few names called out in Round 1/2. Draft Strategy: Third base has become so power-packed that there is actually some good depth here but the allure of tabbing a Kris Bryant, Nolan Arenado, Jose Ramirez, and Manny Machado will be tough to ignore. Feel free to take any of these guys among the initial 12-15 picks and Josh Donaldson is close to that area code as well. Nolan Arenado, Manny Machado, Kris Bryant, Jose Ramirez: I love all four of these guys and each should be quickly snatched up if you have the chance. While you would love to have a first baseman/outfield combo your first two rounds third base has gotten so strong that supplementing here is also worthwhile. I would rank them: Arenado, Bryant, Machado, Ramirez in that order. Josh Donaldson: While the overall 2017 numbers fell a bit from 2015-16, Josh Donaldson went nuclear during the second half of the year which coincided with him being healthy which he wasn't prior to the All-Star break. Yes Donaldson is aging and dealing with more wear-and-tear of late but his power bat is still supreme. Anthony Rendon: If you choose to not take a third baseman in the first two rounds, this is the guy you want to be all over in Round 3. Rendon is completely legit as a five-tool fantasy baseball stud and he has now fully put 2015 behind him. Justin Turner: Turner is in the same boat as Josh Donaldson as a bit of an aging slugger who has been beat up but he will come cheaper. Love the power/average combo here. Nick Castellanos: I really love the upward trajectory we have seen from Castellanos and he could be sitting on a .280 average with a run to 30 home runs. Big potential value. Rafael Devers: I think Devers will be a bit overpriced for my liking but if I have the chance, I would jump all over this future star. Alex Bregman: This kid is the real deal as Bregman shot up his power output last season and he can steal bases as well. Massive upside. Travis Shaw, Mike Moustakas: Sorry but I don't pay for career years. Also it is telling that Moustakas is still not signed as of this writing which means there is a lot of skepticism out there surrounding him. Jake Lamb: I respect the 30-homer power of Jake Lamb but he strikes out a ton and the average hit is not necessary to take on considering you can have Justin Turner or Nick Castellanos for the same price. Joey Gallo: 40 homers is well but not the .215 average which is counter-productive. Miguel Sano: Another average-challenged slugger who could be in hot water with the league based on a sexual assault allegation. With the Milwaukee Brewers having a major glut in their outfield after the trade for Christian Yelich and the signing of Lorenzo Cain, the team is now toying with the idea of moving Ryan Braun to either first or second base in order to clear up the logjam. Right now the Brewers have Yelich, Cain, Braun, Domingo Santana, and Keon Broxton for three outfield spots and so this is why the team is entertaining this potential setup. That move would be a slight boost to Braun's prospective 2018 fantasy baseball and that would especially be true if he gains second base. The latter is more likely since Jesus Aguilar and Eric Thames are both first baseman on the roster as well and that is where Braun would have his most value. While he is aging at 34 and is seemingly put together with masking tape health-wise, Braun still batted .268 (due to an unlucky BABIP), hit 17 homers, and swiped 12 bags in 425 at-bats. Health has been the biggest problem for Braun the last few seasons and no doubt his past steroid use has something to do with that. Be that as it may, Braun's price has dropped of late and so any added eligibility could make him a decent buy low guy. The 104 K's were the second straight season Hand punched out 100 or more and with an early ADP that is still affordable, he is the perfect closer candidate for those who choose to wait on the position. Hand is a guy I want on all of my teams this season and in the middle rounds I will be aggressive here. So should you. Baltimore Orioles manager Buck Showalter will start 2017 third baseman Manny Machado at shortstop to begin the 2018 season, while Tim Beckham will move over to the hot corner. Machado had lost shortstop eligibility for 2018 after not playing one game there last season but he will quickly regain that precious spot in April due to this shift. While Machado was already a first-round fantasy baseball talent from the jump despite a fluky dip in his average last season, gaining shortstop eligibility where he has even more value certainly solidifies that development. While Machado did see his average drop last season due to some rough BABIP luck, his a proven 30-homer slugger and he even ran a bit in 2017 as well. Be sure to not let Machado fall past the beginning of Round 2 at the worst. Looking at the surface numbers, Price was pretty darn good as he continued to miss bats at a high clip and he posted very useful ratios like always. The problem were the injuries and the fact that Price had a scary forearm issue is about as big a red flag as you can get. The reason Price falls into sleeper mode though is that most of the fantasy baseball community will be very leery of drafting him this spring and that will result in his ADP slipping by a lot. That would then put Price into the sleeper tier as the upside would then be more potent than any risk from more injury. Getting back to the numbers, Price's fastball velocity on average went UP from 2016 (94.1 to 93.8). Clearly, the move to the bullpen helped there but it does show the elbow trouble did not rob Price of his velocity. In addition, Price's 0.96 HR/9 was down from 1.17 the year prior and his K/9 went in the right direction as well in that same time frame (9.16 last year to 8.92 in 2016). While Price is getting up there in age as he turns 33 this August, the fact he only threw 74.2 innings last year will likely result in him having a fresh arm and with a great chance of winning games on a stacked Boston team, a vintage Price year is well within the realm of possibility if he can stay in one piece. The Price will be right as they say to give this grizzled vet another chance. Yeah I admit I fell into the trap. The trap where you automatically look past Minnesota Twin hitters given the reputation of Target Field as a place where home runs go to die. For that reason, I never gave outfielder Eddie Rosario much thought when he put together what became a very impressive breakout season in 2017 that sets the stage for him to be a very good value play for 2018 fantasy baseball. First, let's take a closer look at those numbers from last season that put Rosario on the fantasy baseball map. If you put the name Ryan Braun in front of those numbers, you would salute the impressive season and salute the guy's typical excellence. Instead it was Rosario who put forth those numbers and having turned just 26 this past September, even more could be on the way. Now in digging into the past a bit, perhaps we should have seen this coming as Rosario went 10/5 in his HR/SB categories with a .269 average in just 354 at-bats in 2016 and he was an even better 13/11/.267 there in 2015 in 474 plate appearances. So in actuality, Rosario has been hinting at his skills for awhile now. Even going back to his minor league performances, Rosario hit .319 at Triple-A in 2016 to add some more validity to his numbers. Getting back to his 2017 performance with the Twins, Rosario's 18.0 K/9 was a very good number and speaks to the lack of strikeout holes in his swing. Then when you add in a 42.4 ground ball and 20.2 line drive rates, Rosario should continue to be a good batting average guy going forward. In addition, the power looks legit and with his move to cleanup, Rosario could approach 30 home runs and 90 RBI as well. As far as negatives, Rosario was just 9-for-17 on steals which is a terrible rate but at least he is aggressive on the basepaths. 7-10 steals is possible but that will serve as just a bonus there. Finally, you would love to see Rosario show some more patience as his 5.9 BB/9 rate a year ago with the Twins was rough but this is a minor quibble considering how good everything else looked. In the end, Eddie Rosario looks like a potentially tremendous value play for 2018 fantasy baseball and you could end up with those 30 home runs, 90 RBI, and a .300 average for the price of an OF 3 this spring. Go get him. Shortstops are up next as we continue our run through the positions in terms of who yours truly will target and who I will look to avoid. Now in terms of the position as a whole, there is some monster first-round talent here in terms of Houston's Carlos Correa, Cleveland's Francisco Lindor, and Washington's Trea Turner. All three have massive potential this season and all three can easily anchor any fantasy baseball roster. Feel free to use a first-round pick on any of them. Even past those three, there all of a sudden is incredible depth at shortstop which is something we haven't seen in maybe forever in terms of fantasy baseball. So if you do miss out on the top three, there should be some swell values later on down the line so concentrate on selecting other positions before coming back here. Correa, Lindor, Turner: I love all three of these guys but especially Lindor. Lindor finally tapped into some massive power last season in swatting 33 home runs and his average will likely sail back into .300 territory after he dealt with some rough BABIP luck a year ago. Now I would feel more comfortable taking Turner in Round 2 but I really can't deny the upcoming potential for 60 steals with a .300 average and 15 homers. Jean Segura: I think Segura could be a swell value play this season as he comes off a "down" here in terms of counting stats but that is only because of injury. He is still Trea Turner-lite in terms of having five category ability. Elvis Andrus: I have hated on Andrus for years but his value has dipped to the point that he is worth an investment. Of course, I am bot buying the 20 homers he swatted last season as that total looks like a prime outlier but the fact is Andrus remains in his prime and is capable of another year of solid totals. Chris Owings: For those who choose to wait on SS, Chris Owings should be around later. The Diamondbacks shortstop was really going places last season as he hit 12 home runs and stole 12 bases before suffering a season-ending injury. The power/speed juice is apparent and Owings at 26 is just now reaching his prime. Marcus Semien: This guy always intrigues me as Semien has the power/speed game we all crave and he should bat at or near the top of the Oakland lineup in 2018. Yes he drives you nuts with strikeouts but Semien also draws walks to help offset some damage there. Tim Anderson: A potent stolen bases guy in the minors, Anderson also tapped into some power last season by hitting 17 home runs. Anderson's plate discipline is non-existent but any improvement there could lead to a big breakout season. Trevor Story: No shock here as Story was one of my top BUST candidates for 2017 and boy did that prediction turn out right. Story's average will be horrendous and unlike Semien or Anderson, his ADP will be too high to risk the hit there. Dansby Swanson: Nice hitter but Swanson is severely lacking in the categories needed for fantasy baseball success. Zack Cozart: Sorry but not chasing his 2017 career-year and now Cozart moves from a prime hitter's park to a pitching-leaning outpost. Paul DeJong: The power is nice but DeJong's average will tumble greatly due to a high K total. Also, there is little speed here to offset that negative. Cain will be 32 in April and that is a scary age for speed-centric guys like him. Based on the 26 steals last season however, Cain is still running at a high rate and could yield another quiet five-category season. In terms of the five category contribution however, Cain does it without blowing up any one category. His move to Milwaukee would add a few homers and RBI however and so this is a good move for his overall fantasy baseball value. At least for 2018, I will be buying. Well how about that? Just hours after we posted a Christian Yelich Bust post with the premise of him remaining with the Miami Marlins, the team must have been reading as the team traded the burgeoning star to the Milwaukee Brewers late Thursday for a package of four players. In return for sending Yelich to the Brewers, the Marlins picked up star outfield prospect Lewis Brinson, infield prospect Isan Diaz, outfielder Monte Harrison, and pitcher Jordan Yamamoto. The big piece of course is Yelich going to the Brewers who all of a sudden have a monster outfield with him, the emerging Domingo Santana, and former MVP Ryan Braun for 2018. What this also means is that Keon Broxton will either begin the year in the minors to fix his insane strikeout rate or be a fourth outfielder which eliminates almost all of his prospective fantasy baseball value for the upcoming year. Now as far as Yelich is concerned, he gets a nice boost in value like I said he would earlier in the day if moved to a more offensive park. This is what took place as Milwaukee is a good home run park and so Yelich should get himself over the 20 mark in that category despite a remaining ground ball-heavy approach. In addition, Yelich should get back to a .300-plus average as well since he will have nice protection with Braun, Santana, and company surrounding him. Throw in the fact the Brewers are always one of the more heavy stolen base teams in the majors and Yelich should challenge the 20 mark there as well. The bottom line for Yelich is that he is now a firm high-end OF 2 and could challenge for low-end OF 1 status. Meanwhile, Brinson will likely be an Opening Day starter for the Marlins and a fresh start could do him good after he really struggled in his debut with the Brewers in 2017. Brinson reminds me of Minnesota Twins outfielder Byron Buxton who has a similar skill base but who struggled badly initially at the major league level with whiffs. Brinson retains good sleeper value though and so he should be boosted up most cheat sheets as a result of his upcoming opportunity. A good deal for all involved. Wow the title of this post was painful to type. As rough as it was to accept, Miami Marlins outfielder Christian Yelich in his current state looks like a potential fantasy baseball land mine if he stays in the Sunshine State. This is a fluid situation of course in that Yelich has publicly asked for a trade and any move out of town would automatically restore his OF 2 fantasy baseball value and maybe even boost it to being worthy of low-end OF 1 consideration if the new destination is in an offensive park. Be that as it may, Yelich is now a man on an island in terms of the Miami batting order for 2018 after the team dealt away Giancarlo Stanton, Marcell Ozuna, and Dee Gordon. Anyone who owned Atlanta Braves first baseman Freddie Freeman in 2015 and 2016 knows all too well how a barren surrounding lineup can really hurt the fantasy baseball prospects of the player involved and so this is not a small thing concerning Yelich's outlook. Lauded for his pure hitting skills and having been tagged as a future batting champion, Yelich did a nice job overall but didn't exactly overwhelm. What stands out the most are the 100 runs scored but you can forget that happening again this season in Miami given all the trades. The power numbers were also not overly impressive considering the explosion of the home run ball a year ago and the frustration remains in terms of Yelich being a heavy ground ball guy. While it did decline for the third season in a row, Yelich's 55.4 ground ball rate was terrible in terms of hitting for power and in turn, his 25.2 fly ball rate needs a bunch of work. Unless that continues to improve, Yelich can't ever be graded as more than a 20-23 home run guy going forward. Now in terms of the average, Yelich has hit .300 only once in five MLB campaigns but never lower than last year's .282. There is a nice batting average floor but so far he is far from being a batting champ. Throw in the fact Yelich won't be getting as many juicy pitches to hit without good protection all around him and the average doesn't figure to go near .300 this season as well. When you put it all together, Christian Yelich remains a very good player stuck on a bad team. If he does get traded, Yelich should move up to high-end OF 2 status and thus become much more valuable. Until that happens however, Yelich seems like a major disappointment ready to happen. 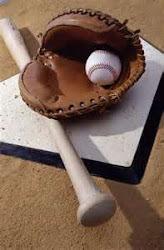 The second base position all of a sudden is quite deep but that goes for almost any spot on the diamond outside of catcher in this new home run-crazed era. Be that as it may, Houston's Jose Altuve should be the number 2 pick in all fantasy baseball leagues this season and the second base-eligible Jose Ramirez is well worth a second round pick as well. Let's see how yours truly looks at the position for 2018 in terms of the second baseman I will target and those I will avoid. DRAFT STRATEGY: If you have the second pick this season, go with Altuve and don't give it a second thought. Other than Jose Ramirez in Round 2, we would then choose to wait on getting your second baseman as there is some very good depth with a bunch of interchangeable options. Jose Altuve/Jose Ramirez: I already shared with you my personal strategy for both and needless to say, my love for Altuve and Ramirez is very intense. These are the type of five-tools talents which win you leagues. Dee Gordon: Now I won't reach for Gordon but boy those 60 steals can almost single-handily lock up that category for you this season. Gordon is no one-trick pony though as he should score 100 runs in a stacked Seattle lineup, bat close to .300, and gain outfield eligiblity. Yes please. Eduardo Nunrez: This all depends on where Nunez signs but if he does land an everyday gig, his annually dirt cheap price and .300/15 HR/25 SB line is very valuable considering the cost. Ian Happ: Not a fan of the strikeouts and ugly average but Happ could quickly ascend to the 25-home run mark with 80-plus RBI and a few steals thrown in. Massive upside. Yoan Moncada: Like with Happ, Moncada's strikeouts are concerning but the speed is tremendous here and the power really came on the second half of 2017. Jose Peraza: I am a sucker for this guy but there are plentiful steals to be had a decent average as well. If Billy Hamilton gets moved, then Peraza becomes even more valuable. Jonathan Schoop: I want steal from my middle infielders but Schoop's insane power and improving average are too precious to pass up if given the chance to get him onto my roster this spring. Rougned Odor: I made a lot of excused for Odor last season as he did dealt with some horrid BABIP luck but his strikeout rate is a joke and he also never takes walks. 30 homers and 15 steals very much in play but so is a .230 average. Daniel Murphy: Murphy is getting a bit up there in age and now is coming off a scary microfracture surgery. Tread very carefully here. Robinson Cano: The air is starting to leak out of the tires here but the name brand of Cano will likely make it impossible to get a value play out of the guy. Scooter Gennett: Never pay for a career-year. Let the hype begin. On the short list of being the "must have" sleeper of the upcoming 2018 fantasy baseball season, Boston Red Sox top third base prospect Rafael Devers is right up there with Philadelphia Phillies slugging first baseman Rhys Hoskins in the extreme hype department. at just 21-year-old, Devers comes off a tremendous 2017 campaign where he lit up Double-A pitching (.300, 18 home runs) and the proceeded to come up to the Sox and hit .284 with 10 more homers in just 240 at-bats. It was a beyond impressive showing for such a young hitter and it speaks to the massive upside here that has made many drool in the fantasy baseball community. So let's dig in a bit more in order to see what a full season of Devers could supply his owners going forward. What really stands out about Devers as a whole is that he profiles as the next bit slugging third baseman who also can hit .300. That is always a highly sought-after commodity in yearly fantasy baseball leagues and 2018 will start to unveil this skill. Devers has never hit worse than .280 at any level in his development thus far and as he matures, he will continue to solidify that skill. The power is already apparent as well and Devers should be up against 30 home runs before too long. In fact, you can make a good case that Devers profiles as a Nolan Arenado-type third baseman and that alone will really hype the kid even more. Now in terms of the rest of the profile, it needs to be noted that Devers is not a base stealer as he had only 3 all of last season at three different combined levels. 5-7 is possible but you are not hanging your hat on this skill for Devers. Instead, bank on four category production from Devers who already draws walks at a high rate (7.5 BB/9 with Red Sox last season) and whose 23.8 K/9 rate figures to smooth out as he gains more experience at the major league level. Now in terms of where to draft Devers, the hype will ensure he will go in the Round 5-7 range which is pricey for someone so raw. The talent is way too obvious to ignore though and so Devers will be worth the cost this drafting season. All of those numbers were accumulated in just 108 games and so Polanco went bust all the way around. There is no denying how frustrating it was to own Polanco last season but some perspective does need to be added here with spring training getting set to get underway. For one thing, Polanco is still just 26 years and so he is just now starting to get to his prime years. In addition, Polanco actually made some big inroads with the strikeouts in his limited time last season which is a potentially big positive going forward. After posting a 20.3 K/9 in 2016, Polanco dropped that number down to a tiny 14.6 as year ago. 108 games is not a completely small sample size and so some validity should be added to what he did there. Throw in the power that had Polanco hitting 22 home runs as recently as 2016 and speed that stole 27 bags in 2015 and all the guy has to do is stay healthy long enough to put all of those skills together. If that happens, Polanco becomes this years version of Tommy Pham. In the end, Gregory Polanco is a very good buy low candidate this season as his ADP has slipped too far down than where it should be. Taking advantage of market inequalities such as this is always a good strategy toward winning your league and so Polanco is a guy you need to highlight on your cheat sheets this spring. The outfielders take center stage in our next 2018 Fantasy Baseball Draft Debate and today's subjects center on Los Angeles Angels outfielder Justin Upton and the Houston Astros' George Springer. Both guys came up with a five-tool reputation but both have gone through some peaks and valleys on their way to their present low-end OF value. As always, let's compare the two using all five standard categories in order to see who in fact should be drafted ahead of the other. RUNS: This one is closer than you may have imagined as both Upton and Springer reached the 100-run mark in 2017. Upton hit it right on the nose, while Springer came in at 112. The difference here though is that Springer bats leadoff, while Upton is likely to be in the third or fourth spot this season for the Angels. This ultimately is the reason Springer gets the nod. HOME RUNS: Again very close but Upton has the more natural power of the two and over the last two seasons, has put up 66 homers to Springer's 63. Yes, you could argue a draw but if you were a betting man and had to put your house on who would end up with more homes, you would pick Upton. STEALS: Both Upton and Springer flashed some major speed in the minors but only Upton has consistently brought it to the majors. In fact, Springer hardly runs at all anymore as he swiped just 5 bags a year ago, while Upton was way more active with 14. AVERAGE: Both Upton and Springer have some strikeout holes in the swing but the difference here is that the latter has gotten better. In fact, Springer has had a better average than Upton each of the last two years and he has a shot at .280 or better. Upton meanwhile, will likely come in below that mark given his high strikeout total. RBI: The decider gives Upton the surprising nod overall as the Angels outfielder's spot in the third or fourth hole will lead to plentiful RBI. While Springer will have some weaker hitters in front of him once the lineup goes over once, Upton will have Mike Trout constantly on base to drive in. Admit that your instant reaction to this is dismissive and the reason being is that Springer is the younger guy and is more the new kid on the block. While I get it, the numbers don't lie here as Upton has more power, is more active on the bases, and will surely have more RBI. The choice is clear. Catcher once again is incredibly shallow as 2018 fantasy baseball draws near and the position as a whole is as top-heavy as ever with Gary Sanchez, Buster Posey, and Salvador Perez serving as the clear top three. We already have discussed both Sanchez and Posey in past features here and so today Perez gets his turn. When it comes to Perez' 2018 outlook, things pretty much remain the same here as the heavily-used Royals backstop has cemented himself as one of the best power hitters at the position. That skill reached some new heights in 2017 as Perez cracked a career-best 27 home runs and collected another personal-high 80 RBI in 499 at-bats. If not for a stint on the DL, Perez likely would have reached the hallowed 30 home run mark. While it has seemed like Perez has been around forever, he will turn just 28 in May and he has put forth steadily increasing offensive numbers since becoming a regular with the team back in 2012. What is interesting is that at that time, Perez was more of a .300 hitter who had little power but he has completely reversed that ratio going back to 2015 when he hit 21 home runs but batted an ugly .260. While the homers have gone up from that 21 to 22 and 27 the subsequent two seasons, Perez's average continued to be ugly at .260 and .247 from 2016-17. While Perez doesn't strike out much (just a 19.0 K/9 last season), he is allergic to walks and has been for his career (a horrid 3.4 mark a year ago). That more than anything makes Perez' average ugly and it figures to continue as well into 2018. The power really stands out though and especially at catcher and it is his skill there that makes Perez a top tier backtop this season. The only question you have to answer for yourself is whether or not you are willing to pay the high draft cost this spring. This piece should also maybe be titled "The Puzzle That is Chris Archer." The Tampa Bay hard-throwing hurler is certainly a puzzle as he has the overpowering stuff to be a Chris Sale-type pitcher but in the end, the numbers just never get there. At this time last season, I was all-in on Archer and owned him in the Experts League with big expectations. While Archer once again remained a strikeout artist with few peers in punching out 249 batters in just 201 innings pitched, his final 4.07 ERA and 1.26 WHIP were a major disappointment. So as we always do, let's dig in more on the numbers and find out if Archer can finally have that breakthrough campaign that his talent has always hinted at. These numbers are very similar to the 4.02 ERA, 1.24 WHIP, and 233 K he has in 2016 as well. The bottom line is that while Archer can completely lock down any opposing lineup in any given outing, he also is prone to blowing up as well. The biggest bugaboo that has held Archer back has been his annually high home run rate and we all know that just one or two misplaced pitches in any one start could ruin an otherwise dominant outing. Archer's HR/9 has been very ugly at 1.34 and 1.21 the last two seasons which has blown up the ERA higher than what his stuff would suggest. Yes Archer did lower that rate last season which helped a bit but a .320 BABIP went the other way to raise the ERA and WHIP. When you adjust Archer's ERA for the bad luck last season., his FIP mark goes down to 3.40 and XFIP to 3.55. So that alone makes things look even better. So it stands to reason that if Archer lowers his HR/9 again this season and he gets neutral BABIP luck, his ratios will look so much better. His 11.15 K/9 was monstrous in 2017 and it reinforces how Archer is as good as it gets among all pitchers when it comes to strikeouts. While a late-season elbow scare is concerning, we will surely recommend going all-in on Archer for the 2018 fantasy baseball season yet again. The talent is so obvious and the price will be generous which makes drafting Archer a smart idea this spring. It is time for another 2018 fantasy baseball Draft Debate and this time we look at the top tier of outfielders in determining who to pick once Mike Trout and Giancarlo Stanton are off the board. The two names that are in firm contention for this spot are the Boston Red Sox' Mookie Betts and the Colorado Rockies' Charlie Blackmon. Both guys are five-tool dynamos and both are worth late first-round selection. As always, let's compare the two via the five standard fantasy baseball categories to determine who in fact should be picked ahead of the other this spring. RUNS: This one is very close as Blackmon has just 25 more runs the last two years combined but the Rockies veteran gets the nod given the fact he is a firm leadoff guy, while Betts has moved among the first three spots in the order. STEALS: While Blackmon at one time was a big stolen bases guy, reaching his 30's have eroded his steals to the teens. Blackmon has 17 an 14 steals the last two years, while the much more active Betts has come in at 26 each of those seasons. Betts is clearly running at a much higher clip than Blackmon and so he wins this one. HOMERS: This one is closer than you think as Blackmon's 37 homers last season seem like an outlier and the 27 he hit in 2016 looks much more believable. Betts meanwhile has gone for 31 and 24 the last two seasons to stake his claim to this category. What breaks the tier is that even if Blackmon goes back to 27 homers, he could still beat Betts with that number. RBI: Batting slightly lower in the order gives Betts the advantage here as Betts has 29 more RBI the last two seasons combined. Yes Blackmon gets the check mark but this was still very close. In fact, you can make the case Betts is the better value as he is a first-round talen who may fall into Round 2 this spring. That my friends is a great pick to make under that scenario. Halfway through the 2016 season, it certainly looked like veteran outfielder and former first-round fantasy baseball star Carlos Gomez was going through one of the more rapid early declines in recent memory. Gomez earned that classification by getting pink slipped by the Houston Astros after just 85 games that year when he hit all of .210 with 5 home runs in 295 at-bats. Years of leg injuries seemed to take a toll on Gomez’ production and he was forced to accept a mid-year signing by the Texas Rangers to salvage his season. Likely getting a boost from a fresh start, Gomez showed the Rangers that he was not done just yet as he sparked the team in the second half by batting .285 with 8 home runs and 5 steals; production that earned him a one-year extension for 2017. While expectations remained muted for Gomez entering into last season, he did well enough by posting a 17/13 ratio in the HR/SB columns and played good defense in the outfield. Alas Gomez batted just .255 and his 29.8 K/9 showed that the holes in his swing are getting bigger than ever. Now facing free agency, Gomez is still just going to be 32 when the 2018 season kicks off. It would stand to reason that Gomez biologically still has a few solid seasons left in the tank but he is losing air in the tires almost everywhere you look. For one thing, the 13 steals Gomez had last season were his lowest since 2009 and the K/9 has now been over 29.0 each of the last two years after coming in at a very solid 21.2 in 2015 before the overall offensive slide began. Injuries are also becoming too numerous to chronicle which further adds to the risk here. While Gomez has quietly had a very good career (which included that short run of first-round five-category production), the tea leaves all suggest this is a player in an unending early career decline. The 2018 fantasy baseball is quickly approaching and so some draft nuances need to be ironed out. The first one worth diving further into is at the top of the starting pitching tier once Clayton Kershaw is off the board. The next two names who will likely come up the most in terms of who to select next among this position are Washington Nationals two-time Cy Young winner Max Scherzer and Boston Red Sox 300-K monster Chris Sale. As always, let's compare the two with the four standard pitching categories to figure out who to pick ahead of the other this spring. STRIKEOUTS: Boy are both of these guys nuclear strikeouts artists. While both habitually reel off 250-plus K's with ease, Sale has been the only one who reached the hallowed 300 mark which he did a year ago with a ridiculous 308. Last year Scherzer had a still very impressive 268 but Sale gets the slight edge. ERA: With Sale having stayed in the American League his entire career to this point, he has had to face the tougher lineups each season and each time out compared to the Nationals version of Scherzer who has picked up the weaker NL batters. As a result, Scherzer has beaten Sale in ERA the last three seasons. That trend should continue as both stay in their respective leagues. WINS: Over the last four seasons, Scherzer has a total of 68 wins, while Sale comes in at 59. With Scherzer being in a weaker overall division in the NL East compared to the blockbuster AL East, give Scherzer the win. WHIP: Scherzer's advantage pitching in the NL East allowed him to come out on top of Sale each of the last three years as well and that should not change this season as well given the setup in their leagues. So as you can see, Scherzer is the one to go with here and it is easy to see why given the setup in the NL East. Yes Sale is a bit more flashy this spring coming off a 300-K campaign but Scherzer is the more stable and dependable pick. Having always possessed big-time power, Smoak really showed off that skill last season as his career-high 637 at-bats helped in the cause. What really helped Smoak as well was a new contact-driven approach that helped him drastically shave his previously gross 32.8 K/9 in 2016 all the way down to just 20.1 a year ago. Throw in a 11.5 BB/9 rate that was very good and Smoak for once was not an average killer. So all seems right now correct? I mean the talent was always there, Smoak is striking out less, and playing with confidence so he should be safe for investment this season right? Not so fast Jack. Digging into the numbers a bit more, there is still some major cause for concern here. While Smoak was hot as a pistol during the first half of the season (.294, 23 HR,), he was actually back to being the pre-2017 ugly slugger in the second half (.241, 15 HR). Opposing pitchers found some new holes in Smoak's swing and his K/9 rose. So in actuality, we still only have one single half of Smoak performing like a guy worthy of daily usage in fantasy baseball and the rest is all garbage. Not enough of a sample size to recommend him as anything more than a UTIL or CI this season. There are some who are planning to get Smoak cheap for 1B and fill out other spots on the diamond first. In theory this may seem like a good idea but Smoak still has a ton of red flags attached to his name that depending on him for the all-important first base spot is filled with trouble. So do yourself a favor and resist the urge to overinflate last season's numbers from Smoak and proceed with some more caution. We admit to possibly going a tad overboard hyping Cincinnati Reds infield prospect Jose Peraza heading into the 2017 fantasy baseball but it was difficult not to be seduced by the offensive skills the speedster possesses. Peraza hinted at what he was capable of while debuting for the team in 2016 as he batted .324, hit 3 home runs, and swiped 21 bases in just 256 at-bats. Those were tantalizing numbers in a small sample size and combined with being very young, it appeared as though a breakout was at hand for 2017. Unfortunately, we didn't give enough thought to Peraza being just 23 and thus likely having to undergo some adjustments at the major league level. A very tough beginning to the season (.226 March/April) made it seem more likely that Peraza would be sent back down to the minors than being a help in fantasy baseball but from that point forward the kid wound up doing all right. While the overall numbers fell short of expectations in terms of fantasy baseball (.259, 5 HR, 23 SB), the Reds seem prepared to see it through with Peraza for the 2018 season. Turning just 25 in April, Peraza could very well make do on his remaining potential this season and the lowered draft price this time around makes him an interesting buy-low candidate. The St. Louis Cardinals have unloaded not one but two of their previously lauded outfield prospects this season, starting with Stephen Piscotty being shipped to the Oakland A's and now followed by a Friday deal where they moved slugger Randal Grichuk to the Toronto Blue Jays. This is an interesting move for Grichuk as he was stalled out in St. Louis after back-to-back underwhelming seasons in 2016 and 2017 and he now moves into a big power-leaning ballpark in Rogers Center in Toronto. Considering that power has always been the most stable aspect of Grichuk, he needs to be moved up a bit on fantasy baseball outfield cheat sheets for drafts this spring given that aspect of things. Looking back on 2017, it was clear what the problems were with Grichuk and that was strikeouts which took a major toll on his batting average. A .238 average and horrible 30.1 K/9 rate were all that was needed to see that Grichuk is flawed overall hitter but on the positive side, he did crack 22 homers in just 422 at-bats. While Grichuk will likely continue to drain your batting average even after going to Toronto, a run at 30 home runs is very much in the cards here as he will likely be an everyday player for the Blue Jays to go along with the new ballpark helping him out. A net gain for Grichuk all the way around in other words. Yes him again. Anyone who has been a habitual reader of this site knows the love yours truly has for Arizona Diamondbacks outfielder A.J. Pollock. After all, Pollock was one of our best sleeper calls in recent memory when we tabbed him as a major value play prior to the 2015 season. Major value Pollock was as he put forth a blockbuster five-tool campaign that included 20 home runs, 111 runs, 76 RBI, 39 steals, and a .315 average. With a past as a former first round pick, Pollock was the new star OF 1 on the block who would go in Round 2 of most fantasy baseball drafts as visions of a 25/25 campaign popped with regards to 2016. Well as often happens in fantasy baseball, the gods had other ideas as Pollock didn't even make it out of spring training before suffering a broken elbow and when he finally did come back later in the year, it was for just 12 mostly meaningless games. On the surface, a 14/20 campaign is very fantasy baseball-friendly but the steals really started to dry up when Pollock was moved down the order. Keep in mind half of those 20 steals came in April before a groin issue propped up. Also Pollock has now missed significant time in four of his last five seasons which means there is a clear trend with him getting hurt which needs to be factored into his draft cost. Now in terms of what the D-Backs will do with Pollock this season, they have Chris Owings coming back and Ketel Marte could also be a leadoff option. If Pollock does get the call, he can be an easy 15/20/.280 guy at the very least and that is with some injury time mixed in. This is always a tough call given the risk but Pollock remains in his prime at the age of 30 and capable of being an OF 1 on talent alone. After a few false starts, it appears as though we finally are seeing the arrival of Minnesota Twins outfielder Byron Buxton if his 2017 production can be believed. The former number 2 overall pick in 2012 has been a fantasy baseball sleeper hound’s obsession since right after his name was called in the MLB Draft; with some early projections predicting he would be the next Mike Trout-like superstar five-tool player. As almost always happens in overhyped situations such as this, Buxton disappointed his loyal followers when given a chance to stick with the Twins both in 2015 and 2016. Clearly being rushed to the majors, Buxton showed he was far from ready to tackle top tier pitching as he batted just .209 and .225 during those first two forays into the big leagues. The holes in Buxton’s swing were gaping as he topped the horrid 30.0 K/9 mark in both of those campaigns as well (31.9 and 35.6 respectively). While no one was ready to give up on Buxton just yet, all was quiet on the sleeper front as 2017 drafts got underway. It was at this point where the always profitable post-hype sleeper theme took center stage and the talent began to bubble to the surface. The much-ballyhooed tools that earned Buxton such hype in the first place began accumulating as well since he went on to hit 16 home runs, steal 29 bases, and batted .253 in 511 at-bats. We all need to be reminded that Buxton will be just 24 when the 2018 season gets going and so there can be no surprise that it took him awhile to get his game in order given the lack of minor league seasoning. Be that as it may, Buxton’s potential as a 20/30 guy could very well be in the cards this season and a graduation to OF 2 status would then result. Now Buxton still needs to do a ton of work on the strikeouts as his 29.4 K/9 a year ago remained hideous and the batting average will never become a help if he doesn’t start making inroads there. Overall the elevator is rising steadily here and so Buxton can be put down as just the latest post-hype sleeper to make good on their talent. The first baseman are up next as we continue to preview the upcoming 2018 fantasy baseball season in leaving no stone unturned. Let's check out who yourrs truly likes, hates, and how to address those who man the power-packed position. Draft Strategy: It is fairly obvious that first base in fantasy baseball is the most potent power-packed spot in the game and despite possessing good depth, it is imperative you get one of the top guys so as to keep pace with the rest of your league. I always try to do my best to have my first baseman by the end of Round 2 and at worst the end of Round 3. In addition, it always is a good idea to come back here for your UTIL or CI guy. I have no problem with any of these guys outside of a tiny bit of worry about Bellinger's average but that is about it. Get one of these studs and you are looking good early in your draft. Rhys Hoskins: Also having eli.gibility in the outfield, Hoskins is going to be a big-time target of many. Truth be told, I am anticipating not getting Hoskins due to the hype and the high price that always goes with it but I love the power and the fact the kid has a tremendous eye that draws walks. That should allow Hoskins to hit .280 soon enough to go with 40 homer. Look out. Edwin Encarnacion: Yes the average is slipping and Encarnacion is getting long in the tooth but you still can get nearly 40 homers, 100-plus RBI, and 90-plus runs here for a declining price. Ian Desmond: Desmond was never right physically last season as he dealt with constant injuries and so he deserves somewhat of a mulligan. The versatility will be nice right off the bat and Desmond can go right back to his 20/20 days for a vastly discounted price this season if he can stay healthy. Justin Bour: Always have a soft spot for the powerful Bour who can hit 25-30 home runs but yet no one ever wants him. Market inefficiency such as this is how you win fantasy baseball leagues if you strike. Josh Bell: Would take Josh Bell on as a UTIL or CI buy as his power really took off last season, albeit with a hit to his average. If Bell can start merging the two, then things get really intriguing. Eric Hosmer: There is no denying Eric Hosmer was tremendous in 2017 but he remains a heavy ground ball rate guy who at his optimal can hit 25 homers and almost nothing more with that approach. Of course, I would likely change my mind on Hosmer if he signs in Boston but the guy has made a history of driving his owners crazy. Wil Myers: It is not that I hate Myeres but I do dislike the annual average hit he brings to the table and the ballpark as we all know is tough. Yes 20/20 is entirely possible which you can never sneeze at but I want less injuries (Myers has struggled there as well) and a better average. Matt Carpenter: Man this guy is physically falling apart and the average has taken a tumble with the ill health.